WINSTON SALEM, NORTH CAROLINA -- Well I had the worst experience with Best Buy in Winston-Salem store # 158. Husband went there to get a battery for his cellular which has a service plan with Best Buy and it was like a nightmare. He went in on Sunday the 1-30-2011 at opening at 11am and spent over a hour and a half in this location cause nobody knew what they was doing. He run from Geek Squad to cellular dept. the whole time and never got his battery ordered for him like covered on his plan. Instead he had to ask someone else if they had a battery there to fit his phone and they did so he had to pay 53.86 for a battery that should have been free to him if the employees at the cellular phone dept. valued their customers but they didn't this day. So I called and spoke to a manager on this same day and they said, "I will look into it and call you back." Well they did call back but left me a voicemail saying that my husband should have never went through all that and that he would refund us for the battery he bought or order us a new one either way and he would call back on Monday to see what I wanted to do. Well to make a long story short he never called me back. I called the manager on Wednesday the 2-3-2011 and spoke to them and I let them know I just wanted a refund and he said, "OK. I have your receipt in my car. I will go get it," and I said, "Well he paid with a debit card." He said, "Well it will have to be a cash refund and I will put it in the mail for you." Well today is Monday the 7th of Feb and haven't received a refund yet called again to store spoke to manager said they would look to see what had been done and call me back but never called back. I took it upon myself and call consumer relations for Best Buy the lady there ended up hanging up on me so I filed a report with Better Business Bureau so I will see what happens now. This store needs new managers in it and I also have saved the recorded message from the manager about the refund in my phone. I will not go back to this store again. I have been run around the block for over a week and no refund been given yet. If you have had problems at this store and dealt with the same manager I did then I know you are going through a lot of mess too. I hope the BBB calls this company and I am not letting this go until I get my refund I was promised. The employees at this location are not friendly either in person or over phone so if you want good business don't go here to Best Buy in Winston-Salem. DOVER, DELAWARE -- In November 2005 I purchased a 50” LG plasma TV from Best Buy in Dover, DE. (#842). In May 2008 while watching the TV there were three very loud “bangs” and the unit shut down. I called the warranty service and the TV was repaired (cost of $700.00). On 12-27-09 while watching the TV there was a very loud “bang” and the unit again shut down. I called the warranty service and was advised that the extended warranty expired 10-31-09. I was very upset as I had not been afforded the opportunity to renew the warranty for this TV. I explained the situation to the warranty rep, stating the TV had blown up twice within a year and a half and I was not afforded a renewal on the extended warranty. Nothing they could do. The afternoon of 12-27, I went to the Dover DE store and requested to speak to the store manager. I was advised that the assistant manager was there. I asked to speak to him but he refused to come out and speak to me. He sent messages out to me via a store associate. I was told that there was nothing that could be done at the store level and that I would have to contact the corporate office. On Monday 12-28-09, I called the corporate office and after being transferred to the wrong department four times I finally spoke to a gentleman by the name of **. ** advised me that there was nothing that Corporate could do and it would have to be handled at the store level (here comes the runaround). I then called the Dover DE store and spoke to the manager his name is **. I explained everything to Mr. ** and he asked me exactly what I wanted from him. I explained the story to him and that I have been a loyal customer to Best Buy for many years and have spent many thousands of dollars with the company. Mr. ** advised me that company loyalty means nothing. Considerations of this nature are not based on loyalty of the amount of money one spends with Best Buy. He did however say that he would see what he could do and he would get back with me. He again asked why I thought Best Buy should help me with matter and I again explained that I paid $ 4000.00 for this television and it had blown up 2 times in a year and one half. I feel that this unit is defective and should be repaired at no expense to me. I also explained that I feel I was not afforded the renewal warranty due to a “payout” being made on this unit. He assured me that that was not the case. It has been over 10 days and I have not heard from Mr. **. I believe Best Buy should stand behind this unit. 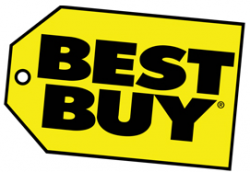 The overall cost to Best Buy would be in insignificant on the overall scope of things and would go to great lengths in restoring confidence in the company. LEWISVILLE, TEXAS -- I have a Galaxy note phone. I accidentally dropped my phone and broke the screen. I went to Best Buy to return the phone because I have insurance on the phone. When I went to return the phone the Best Buy associate wanted to give me a loaner phone. I didn't have a problem with that. THE PROBLEM WAS WHEN HE TOLD ME that I HAD TO WAIT 2 WEEKS JUST TO GET MY PHONE BACK. That's ridiculous. Really 2 weeks just to receive my phone back, really. BEST BUY doesn't tell you that when you purchased the insurance. They tell you if something happens to your phone you don't have to wait to get a replacement for your phone. YOU CAN REPLACE IT THE SAME DAY. Well that's a lie. WELL THE LOANER PHONE was REALLY DIRTY, AND BEAT UP. I ask the associate "could I just keep my phone until MY PHONE comes in", he told me that was fine. And HE TOLD ME AGAIN THAT my phone would not be in until 2 weeks. The associate told me that if my phone wasn't in 2 weeks, that Best Buy would give me a new one. So he processed the order and gave me a copy of the requisition order, and told me it would be 2 weeks. I AGAIN asked him that this would not be a problem since I kept my phone, he assured me NO THAT IT WASN'T A PROBLEM. Well 18 days later and no phone!!! The manager ALLEN TOLD ME THAT IT WAS NOTHING HE COULD DO!!! Like I TOLD HIM THIS WAS NOT MY FAULT. This was an error on their part. Allen just didn't care!!! That just let me know that customer service and appreciating customer service is not appreciated or maybe it's because I'm a B.F.
We purchased a new LG Washer & Dryer in July, 2004 along with a 5 year Performance Service Plan (PSP). In the past 2 years, we have spent over $15,000 in this same Best Buy store, so you would think that they would value us as customers. The washing machine first quit in June - displaying an LE error code. Since we were covered under the PSP, it didn't cost us anything to have the technician came out and replace a sensor. We did however have to take a day off work to let them in. Anyway, after a few days the machine quit again, once again displaying the same LE code. And once again, they came out and replaced the same part. This happened a 3rd time before the PSP expired, and once again we took a day off, the technician came out, and they replaced the same part. I have repeatedly suggested that they are not fixing the cause of the problem - that SOMETHING is causing this sensor to burn out! Nobody listens. At this time I received an offer to "renew" the PSP, however the renewal policy does not contain the 'No Lemon' clause. Despite this, I renewed it for 3 more years. As you might expect, we have had this same problem 2 more times. The 4th time the technician told us that "If it happens one more time, we will replace this machine - no questions asked." Well, the next time happened. We got a different technician, and he DID submit a request that the machine be replaced. The answer that he relayed to us today was that "There is no way that they will EVER replace this machine - and if they have to come out and repair it 500 more times over the next 3 years, then that is what they will do!" Where is the common sense with this Company? Do they place no value on Customer Satisfaction? Based on the most recent 3 months, they would rather spend $5,000 fixing this machine for the next 3 years and have an irate customer than they would to replace a $900 wash machine and have a happy customer? I realize that under the terms of the renewal PSP, they have no contractual obligation to replace this wash machine. However, they do have a contractual obligation to fix this machine, and they have proven over the past several months that they cannot live up to this contractual obligation. They need to do the logical and right thing - and that is to replace the machine. In the long haul, that will save them a lot of money, and it will keep a customer happy - one that has spent a LOT of money in their store during a recession! I would never buy either an Xbox or an extended warranty from Best Buy. Trust me, the troubles I went through were not worth it. I bought an Xbox in 2007, the best they had $500.00 I bought the extended warranty. Although my son used it only about once per week it began giving us trouble in March of 2009. I took it to Best Buy and for the next three months it was in and out of Best Buy for repairs. It would work for a couple of weeks and then die. After four times, not three, they agreed to give me the cheapest Xbox they had on the shelf ($179.00). I insisted that I had paid $500.00 for the original and should get the best Xbox they had which was still only about $300.00. They refused! After much argument, they finally agreed to give me the second best Xbox, about $229.00, but only if I agreed to buy an extended warranty for it at another cost of about $80.00. As luck would have it, in August of 2010 that Xbox went. I took it to Best Buy and they told me it was still under manufacturer's warranty and there was nothing Best Buy could do for me. I will have to deal with the manufacturer. My experience with Best Buy has been dismal at best. DON'T BUY AN EXTENDED WARRANTY FROM BEST BUY! I had a TV replaced by BB that they had bricked, it took 9 months for them to do, by this time the TV was 13 months old cost was 3400.00 with calibration that ruined TV. When TV was replaced, the manager of the store told me that my extended warranty 450.00 would transfer to the new TV. Then they came back later and told me it would not because it was 13 months old. I had been working on this for 9 months. So Best Buy had gotten over 1500.00 of my money for their mistakes. This just does not seem right. Their motto should be BEST BUY STEALS YOUR MONEY BEST! RENO, NEVADA -- My daughter (16) decided to use her $100 Best Buy gift card from my brother to buy a Bissell Little Green for my wife. The Bissell is OK at cleaning, but very difficult to clean, and actually drips water - so technically it is defective. So 20 days after purchasing it, my wife and daughter went to the Best Buy where she bought it to return the unit for store credit. Best Buy refuses to take it back, saying they have no record of the sale and since she does not have her receipt, she could have bought it anywhere. We have other receipts from purchases with her gift card but they refuse to give us the card number. So basically they are not taking the product back - even for store credit. This is the second time I have a problem with Best Buy - the first was a camera that I had purchased and got the extended warranty with. They simply could not find a record of the purchase, the warranty or even me for that matter. So if you want to but from Best Buy, do so with the knowledge that they will not take the product back should you lose the receipt, and DO NOT buy those extended warranties - 2 years from your purchase, you will not have the receipt and they will not honor the warranty without the receipt. Best Buy doesn't care about their customers... They have proved It to me big time! LYNCHBURG, VIRGINIA -- On Aug. 24th 08, I return my less than 6 month old Samsung PC monitor fully expecting them to replace it that day with a new one being this one had completely died and I had also purchased the 4 yr. extended warranty plan and was led to believe upon purchasing this that if anything were to happen to my monitor that could not be repaired there that I would be promptly presented with a new one that very day... What a FOOL I was to believe that! I was informed that it was perfectly fine and could be repaired but would have to be sent away to their service center. I was upset right away that I'd have to be without this monitor which of course meant I could not use my computer. The Geek Squad guy assured me it wouldn't be that long, a week no more than 2 weeks it would be back. He said they'd call to update me and let me know when it was ready for me to pick up. The 2 weeks went by, no call, so that Saturday I went back to the store to inquire about it. I was told it was still at the service center, they didn't know why it was still there unless they were waiting on parts, said they'd call me on Monday to let me know what was going on with it being the service center is closed on weekends and they couldn't call them until then. Monday came and went, no call, finally on Wednesday I call them and they say they still do not know anything. The next Saturday I'm back at their store again standing in the long customer service line with all the other very unhappy people, finally after about 30 minutes or so I'm at the customer service desk and they're looking up my account and the status on my monitor. Guess what?!? They don't even know where it is at this point because the service center they sent it to shut down and they THINK maybe it was sent to the center in New York but they're not for sure. "Oh, great! So they've lost my monitor now??" I said. “Oh no ma'am we don't know that at all, it's just we don't know and we can't call the center being it's the weekend, we'll call you Monday to let you know.” Of course they never call me, I ended up calling them only to be given the run around again. My husband then got into it and went to their store where they then said they were going to REPLACE the monitor... oh but not right then. Oh no, they are now waiting on a authorization number from the Samsung factory before they can hand over a new monitor to me. My husband about flipped out at this point, demanded to see the head store manager, department manager and whoever else cared to hear a piece of his mind. How bad for their business as other customers were standing around hearing all this and getting a true sense of how Best Buy treats their loyal customers, very badly. My husband left the store that day empty handed of course because Best Buy doesn't care about their customers at all or they wouldn't be treated as badly as we have been treated. It's now 5 days later and still no call. I tried twice calling them today only for the person who answered to tell me they'd have to connect me to the Geek squad department. The phone rang so many times it finally stopped and disconnected me, no one would even pick up the phone to talk to me. I'm debating on whether or not to make the 40 mile trip back there tomorrow. I'm sure I'll be given the run around and lied to again. I'm just so tired of wasting my time being upset and angry at these people. I feel so very violated, as if I've been robbed in some way. I am seriously beginning to wonder if Best Buy will EVER get this authorization number and if I will ever get this monitor at all. Seems they have ALL the control plus several hundred of my dollars that they refuse to refund to me. It's been almost 2 months now and they have done absolutely NOTHING for me in all this because they do NOT care, this became oh so clear to me by the way they treat you and talk to you when you go into their store or call them. They will say anything to shut the complaining customer up and get them out of the store, even if it's the biggest lie ever! UPDATE: 10/18/08. Another trip back to Best Buy today, they are now telling me it's pretty much out of their hands as they are now waiting on approval from the Samsung manufacturer for them to replace it. "The ball is in Samsung's court" is what I was told and they have no idea how long it will be before I get the monitor replaced, I'm thinking NEVER! And they refuse to refund my money, so what now?? I'm wondering how long legally they are allowed to keep my property from me? (Sigh) I'm so frustrated... I left their store in tears today! MARYSVILLE, OHIO -- My Sony $2,000 computer was less than 4 months old the hard drive went out. I lost a almost a 900.00 due to all my programs were gone. Took about three weeks to fix. Then after another 19 months the computer was damaged due to water. I had water damage warranty. They said the hard drive should be fine. They sent it out for repair. It would be two or three weeks for repair. In almost 6 weeks the computer was returned, completely cleaned of any memory. When they sold me my external hard drive for a couple hundred dollars they said it would automatically set to run on Monday I wouldn't have to do anything. Well they put the memory from the external hard drive, it had almost nothing on it. It didn't work properly. I lost about 1,100 dollars in programs, my business was online and I lost all my business information and 3,000 pictures. I am a photographer. All repairs was not even fixed the cd rom wouldn't open plus the door on the other side was broke. Now to top it all the computer was useless when it was returned due to no arrow would come up. Geek squad once again said we have to ship it out, it will take another 5 to 6 weeks. I became very upset. Then the manager came up with this idea they would exchange computers. I thought great. Until they said, "Do you want warrant?” I said, "I have warranty left on my other computer." So instead of pro rating the amount, I was told I had to buy a new warranty. To match the old warranty it would cost me $400.00. Plus they charged me another hundred for programming the computer and adding virus protection. That way when I got it home it would be ready to use. Now thinking I have a computer finally, I went home attempted to plug in my wireless card. To top it off the card didn't fit the new computer. Went to Best Buy not only was the manager rude by stating having a computer with that old style air card is like buying a TV with a tube! Yet he had seven or more models with the same air card available for sale. So now he tells me he can get me the right air card through Verizon if I pay 200.00. The best part of all is the fact the new computer they made the exchange with was cost $635.00. Then I was told they were bending over backwards for us. I said, “You think?” When I took out a piece of paper and pen MR. ** says, "This was done through his manager and writing his name down would do no good.” I explained to him, “I knew his name, I was just writing down his rude remarks.” He informed me he was not rude. I asked why my husband came to me and asked why this guy was being so rude? My husband never says anything yet he found this employee (that called himself the manager) to be rude to his wife. This will be my last dealing with Best Buy. The price I paid for the first computer totaled over 2,000. This 635.00 free computer has not cost me 700.00 not counting the loss of the hard drive memory. This is a nightmare and I am at a lost how in times like these Best Buy, a company I thought highly of, could treat good customers so poorly. SOUTHGATE, MICHIGAN -- Gosh, where do I start? I will tell you my experience, well actually my mother's experience with Best Buy, and we are at our wits end. If anyone has any suggestions, please let me know. My mother purchased a flat screen TV in 2006 (I don't have the model number handy) and she purchased an extended warranty. After several months, the television had green and red lines on the screen and it was virtually unwatchable. She called Best Buy's warranty department and basically the same thing happened as to others on this website. To make a long story short, she got the runaround and was given an appt in January. It is now March 27, 2007 and still no working TV. An appt. was scheduled for January but the man was a no show, no call. She called and scheduled another appt but was told the soonest they had was in a couple of weeks. So the appt was scheduled, he showed up and said it needed a certain part that would have to be ordered. The part finally came in a few weeks later and an appt was scheduled for several days later. The guy once again, no call no show. My mom called again, got transferred to a bunch of different departments, was pulled on hold for almost an hour (like every other time she called) and the customer service representative read once again from the script. My mom said please, I have heard all this, I just want my television fixed. Another appt. was scheduled, the guy installed the part and the television still didn't work. He then told my mom it's the cable. My mom said we had this cable hooked up to another television with no problems and showed him. He said he was sure it was the cable and left. So my mom called the cable company and the cable guy came in and said it needed a new tube and had nothing to do with the cable. Keep in mind, my mother is and has been staying home for all the appts., and she was really upset. So once again, called Best Buy, listened to the whole script and another appt was scheduled. My mother said please send someone else because this man has been out twice and hasn't fixed a darn thing. Best Buy assured her they would have another repair person out. So the next appt was about two weeks later and you guessed it, it was the same guy. He looked at the television and tried to say it was the cable and my mom said the cable man came out and it was NOT the cable and it needed a new tube. The guy looked around at the television and agreed but said he would need to order the part. That was at the beginning of March. Best Buy called to say her part was in and that they would be calling back on such and such day and such and such time, to schedule the install it. So my mom's new television worked for a few months and hasn't been working since January and if the part comes in on time, it will be here April 28, 2007. But Best Buy was nice enough to let her know that when the part comes in on April 28, 2007, an appt will have to be scheduled and it is estimated it will be in at least two weeks from April 28, 2007. I have never been in a situation like this and my mom really wants me to help. I wonder if I can write a letter or call another number. I think it's very unfair what Best Buy does to their customers. Bottom line, my mom bought a television with an extended warranty and hasn't been able to watch the TV for what will be at least 4 months. Meanwhile my mother asked if her warranty would be extended and she was told no. My mother has called and spoke with managers, supervisors etc., and everyone seems to be working off the same script and horrible customer service.